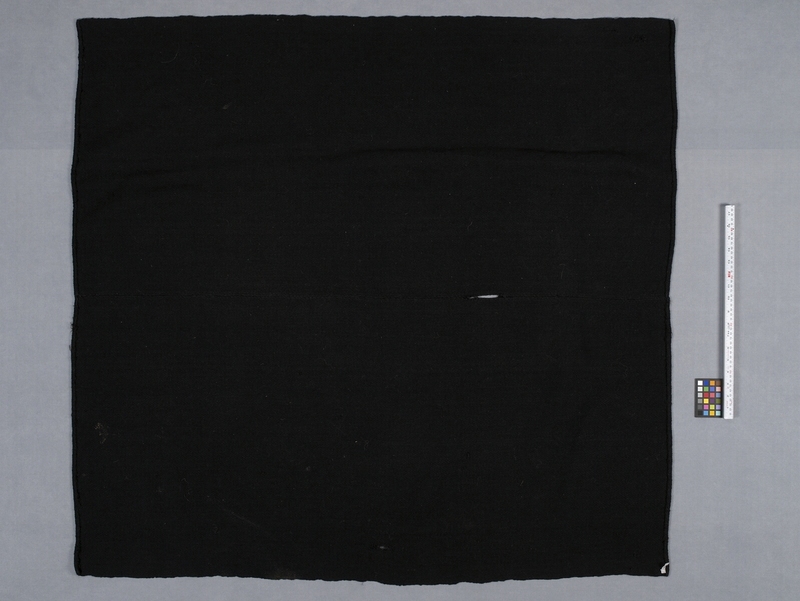 Item number Sf1137 from the MOA: University of British Columbia. 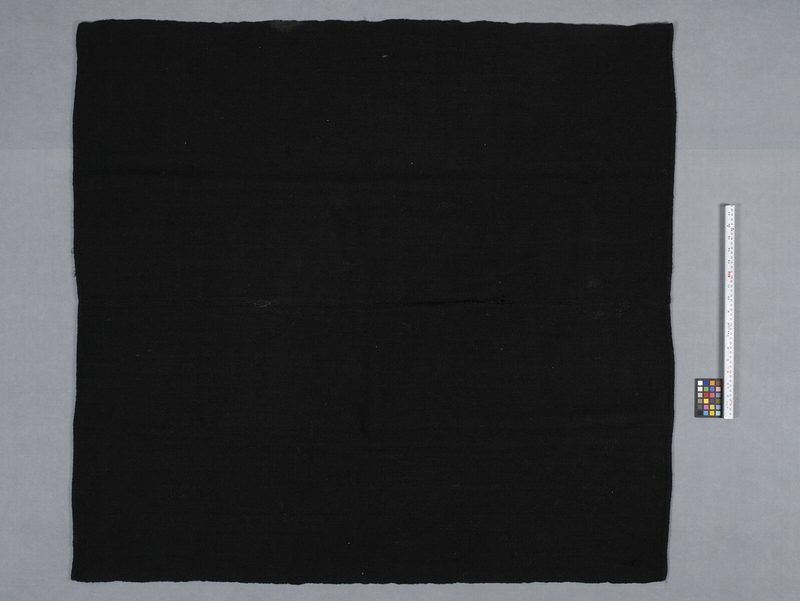 Black, twill weave shawl with made of two small panels sewn together in the middle. Two ends are hemmed. Worn over the shoulders and pinned at the chest or used as a carrying cloth knotted at the chest. During a year's mourning after the death of a relative, the woman replaces her colourful garments with similar ones in a subdued range of blue-green-purple, predominated by black. She wears the same dress, helmet and sandals but her aksu, belt, lliclla and hair tie are changed. Bought from Maxima viuda (widow) de Arancibia Vorrancos, a vendor in Sucre.